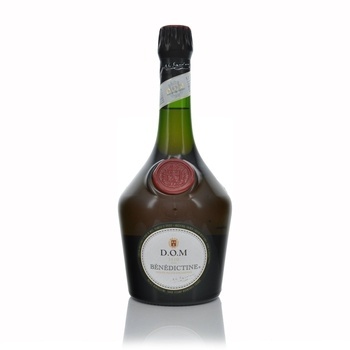 A slightly sweet liqueur that is named after the Benedictine monks from the Abbey of Fecamp. This liqueur was first produced by them back in the 16th century, and its recipe is a closely guarded secret to this day. All that is known about the recipe, is that it is based on Cognac, and is flavored with various aromatics, fruit peels, and herbs.